Real Madrid are ‘convinced’ Luis Suarez will be their player next season after making the Liverpool striker their number one transfer target, according to the Evening Standard. Suarez’s four-goal heroics against Norwich in the Premier League last night exemplified exactly why he is currently one of the hottest prospects in European football and why Real want him so badly. Madrid manager Carlo Ancelotti and president Florentino Perez have agreed that signing the Uruguayan should be their top priority in the transfer market amid doubts over the future of Karim Benzema. The Spanish giants are also wary of a fresh approach from Arsenal, who bid 1 over 40 million for Suarez over the summer, and will do what it takes to beat Arsene Wenger’s side to the 26-year-old’s signature. Ancelotti believes a front three consisting of Cristiano Ronaldo, Gareth Bale and Suarez would be an unstoppable combination and, as they did with Bale, Real are prepared to pay what it takes to make that happen. It would likely take a bid of up to 45 million in order for the dream triumvirate to come to fruition, though high-ranking Bernabeu officials have started talking openly at how convinced they are Suarez will eventually swap Merseyside for Madrid. The La Liga club haven’t ruled out a January bid, though a summer move is considered more likely, and the Spaniards are becoming increasingly more confident Suarez will be theirs by next season. 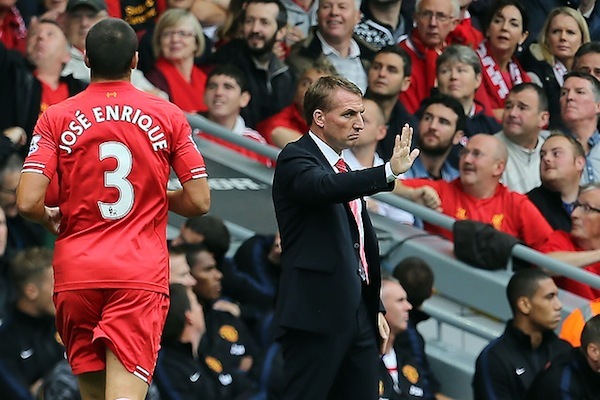 The post Liverpool Transfer News: Real Madrid ‘Convinced’ They Will Sign Luis Suarez appeared first on WhatCulture!.